We have the right and duty to defend an insured against a suit seeking damages to which this insurance applies. However, we have no duty to defend any insured against a suit seeking damages to which this insurance does not apply. We may investigate and settle any pre-suit claim or suit as we consider appropriate. Is the liability insurer also required to pay for the costs (including attorney’s fees) the dealership incurs in pursuing an affirmative claim against that same third-party? This issue often arises in the context of litigation involving dealership customers. Often when the customer alleges a claim against the dealership, the dealership also has a claim against the customer arising out of the same purchase or financing transaction. But, in many jurisdictions, they would be mistaken. As a general rule, defense costs are expended only to investigate and determine the insured’s liability to a third-party (see Westling Mfg. Co. v. W. Nat’l Mut. Ins. Co., 581 N.W.2d 39, 47 (Minn.Ct.App.1998), review denied (Minn. Sept. 22, 1998)), and a liability insurer’s “duty to defend” does not include bearing the costs of an insured’s claims or counterclaims against a third-party. See St. Paul Fire & Marine Ins. Co. v. Nat’l Computer Sys., Inc., 490 N.W.2d 626, 632 (Minn.Ct.App .1992), review denied (Minn. Nov. 17, 1992); Sullivan v. Am. Family Mut. Ins. Co., 2007 WL 2106142, at *2 (Minn.Ct.App. July 24, 2007). However, the rule is otherwise where the insured initiates a lawsuit (or asserts a counterclaim) against a third-party which could defeat or reduce the insured’s potential liability to that third-party. When a liability insurer has a duty to defend the insured against a suit by a third-party, it is also contractually obligated to pay expenses “reasonably necessary either to defeat liability or to minimize the scope or magnitude of such liability” (Domtar, Inc. v. Niagara Fire Ins. Co., 563 N.W.2d 724, 738 (Minn.1997)), which means the liability insurer must pay the legal costs the insured incurs in pursuing its affirmative claims (in addition to the legal expenses incurred in refuting the third-party’s claim against the insured). The legal costs the insured (dealership) incurs constitute covered “defense costs” under the policy. 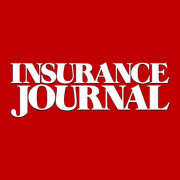 While a few states have rejected this rule, many courts across the country have applied it to require the insurer to reimburse the insured for the costs of its affirmative claims, as long as the affirmative claim could defeat or reduce the insured’s potential liability to the third-party. See, e.g., Hartford Fire Ins. Co. v. Vita Craft Corp., 911 F.Supp.2d 1164, 1183 (D.Kan.2012) (holding that insurer’s duty to defend Vita Craft included the cost of Vita Craft’s counterclaims that were inextricably intertwined and were part of the defensive strategy to reduce Vita Craft’s liability); IBP, Inc. v Nat’l Union Fire Ins. Co. of Pittsburgh, PA, 299 F.Supp.2d 1024, 1031 (D.S.D.2003) (defendant’s cross claim against plaintiff in a separate lawsuit was “in essence IBP’s answer to Tyson’s complaint in Arkansas,” and thus fell within insurer’s duty to defend); Great West Cas. Co. v. Marathon Oil Co., 315 F.Supp.2d 879, 882 (N.D.Ill.2003) (holding that duty to defend requires liability insurer to cover claims and actions asserting contribution as a “means to avoid liability”); Ultra Coachbuilders, Inc. v. General Sec. Ins. Co., 229 F.Supp.2d 284, 289 (S.D.N.Y.2002) (insurer was liable for legal fees incurred by insured in asserting counterclaims where the counterclaims were “inextricably intertwined with the defense of [defendant’s] claims and necessary to the defense of the litigation as a strategic matter”); TIG Insurance Co. v. Nobel Learning Communities, Inc., 2002 WL 1340332 at *14 (E.D.Pa. June 18, 2002) (insurer had obligation to pay for insured’s affirmative counterclaims where claims could “defeat or offset liability”); Perchinsky v. State, 232 A.D.2d 34, 660 N.Y.S.2d 177, 181 (N.Y.App.Div.1997) (insured was entitled to recover costs in pursuing third-party actions “because the filing of the third-party actions was an essential component of the defense of the main action”); Smart Style Indus., Inc. v. Pennsylvania Gen. Ins. Co., 930 F. Supp. 159, 161 (S.D.N.Y.1996) (holding that insurer was liable for attorney fees in connection with insured’s prosecution of declaratory judgment action that it did not infringe trademark); Oscar W. Larson Co. v. United Capitol Ins. Co., 845 F.Supp. 458, 461 (W.D.Mich.1993) aff’d, 64 F.3d 1010 (6th Cir.1995) (insurer was liable to insured for attorney fees and costs insured incurred in prosecuting counterclaims and cross claims where claims were asserted to defeat or limit insured’s potential liability); Safeguard Scientifics, Inc. v. Liberty Mutual Ins. Co., 766 F.Supp. 324, 334 (E.D.Pa.1991), aff’d in part rev’d in part, 961 F.2d 209 (3d Cir.1992) (insurer’s duty to defend extended to the litigation of counterclaims “inextricably intertwined with the defense” of the covered claims); Potomac Elec. Power Co. v. California Union Ins. Co., 777 F.Supp. 980, 984–85 (D.D.C.1991) (noting that an insured’s affirmative suit is not per se unrecoverable as a defense cost). The rule recognized in Domtar makes sense. As one court noted, “[d]efense” is about avoiding liability … [and] a duty to defend would be nothing but a form of words if it did not encompass all litigation by the insured which could defeat its liability.” Great West Casualty Co. v. Marathon Oil Co., 315 F.Supp.2d 879 882-883 (N.D.Ill.2003). 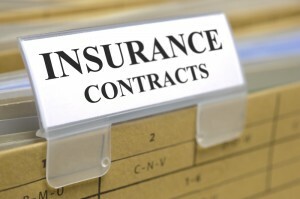 So, if the liability insurer fails to acknowledge its obligation to pay (or reimburse) the dealership for the costs of pursuing a claim which could defeat or reduce the dealership’s potential liability, you may want to talk to an insurance coverage attorney and consider filing a declaratory judgment (coverage) action against the insurer. This blog is for informational purposes only. By reading it, no attorney-client relationship is formed. The law is constantly changing and if you want legal advice, please consult an attorney. Gregory J. Johnson © All rights reserved. 2016. This entry was posted in ADCF Policy, Auto Dealer, CGL, Coverage, Duty to Defend and tagged Gregory J. Johnson. Bookmark the permalink.